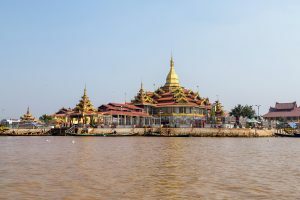 Being the most sacred pagoda in the whole southern Shan State, Phaungdawoo Pagoda is famous among locals as well as tourists visiting Inle Lake. 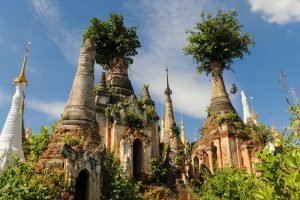 The legend says that on a visit over Burma, King Alaung Sithu received five Buddha images from a mysterious person (believed to be a celestial being). 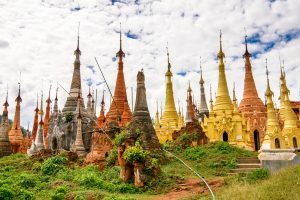 In order to keep these Buddha images, the King decided to build this pagoda. Location: Ywama Village.